Grey’s Anatomy has just broken the world record for the longest running medical show that is still running with over 15 seasons and over 300 episodes. Throughout the series you have some of your favorite moments and other shows you want to stop watching because your favorite character has left the show. Only four original characters remain since the first episode of the show. 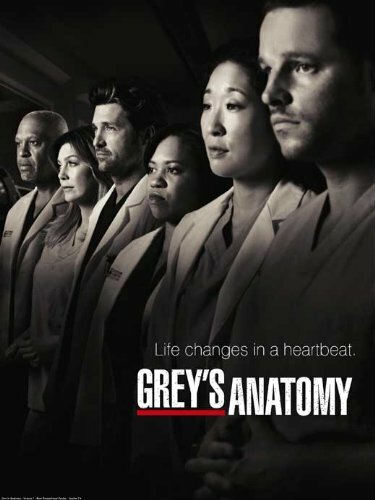 The beginning of the series started with 5 interns (Meredith Grey, Cristina Yang, George O’Malley, Izzie Stevens, and Alex Karev), a chief of surgery (Richard Webber), a resident who trains the interns (Miranda Bailey), a head of neurosurgery (Derek Shepherd), and a head of cardio (Preston Burke). Throughout the show friendships and romantic relationships develop with each other. The show continues adding more and more characters such as: old best friends, siblings, parents, husbands/wifes, kids, new surgeons and many more. Famous stars also appear in some episodes, like Demi Lovato and Dylan Minnette, that have rare medical conditions. At the end of each season, something big will happen so the viewers come back next season, such as a return of a previous character or the death of a fan favorite character. Almost every season new people are casted, and a beloved fan favorite written off. Each season, the they have to wait for the show to come back on. In season 2, Meredith Grey (Ellen Pompeo) has her hand stuck inside a patient’s body because the patient made a homemade bomb. If the bomb moves in the body, it will explode, so Meredith has to keep her hand still and wait for the bomb squad to get there. When the bomb squad arrives, and they finally get the bomb out, it is handed to the bomb squad tech. The bomb was still armed so what happened next? In another season, they are working outside of the hospital near a lake, Meredith falls into it and no one notices for a while. When Derek Shepherd (Patrick Dempsey) finally realizes he asks a little girl and she points to the lake. He jumps in to try and find her, when he does and she is back at the hospital getting cpr, fans are left to wonder – will she survive? Friendships are also made throughout the characters’ development. In the early seasons of the show when it’s the original 5 interns, they all become close friends even if they fight sometimes. In an episode when Izzie Stevens (Katherine Heigl) is trying to get a heart for Denny Duquette, she has to cut his LVAD wire so he flatlines to prove he needs the heart. All 5 interns are involved in this and when they are questioned about it later, they all say that they were the one who cut the wire so Izzie didn’t get fired. Throughout all 15 seasons, it’s an emotional roller coaster for viewers. Fans go through many varying feelings – being happy, sad, confused, shocked – as well as others! The creators have done a great job continuing the story line for 15 years but will it come to an end soon and everyone wonders “how will it end?” Viewers that watch the show each have their own theory on how it is going to end in the future and consider different possibilities. Will Meredith die? Will it be a dream? Meredith’s mother had alzheimer’s…so will she have it and the show is all her memory? Grey’s anatomy fans know what’s in store…they will just have to wait and see ending the next season brings!